February 20, 1pm – Organist: Andrew Geog. 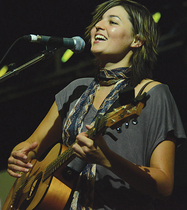 A versatile South Australian musician who's career encompasses church music, opera, choral music and accompanying. More concerts on February 27 and March 13. While Panama prepares for an invasion of young Catholics for World Youth Day 2019, the Adelaide Archdiocese is preparing its own version of WYD at Sacred Heart College, Somerton Park, on January 27. 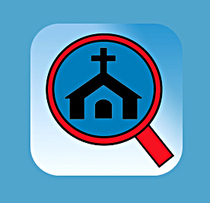 At a press of a button you can find Christmas Mass times near you and if you're on holiday you can check for Mass times anywhere across SA. Additional features: Southern Cross news and events. Listening and Dialogue Encounter – your voice creates the Plenary Council 2020 agenda. Have your say online. In this issue: Pope's message for World Day of the Poor, Christmas treat for music lovers, Countdown to WYD Adelaide, plus more. 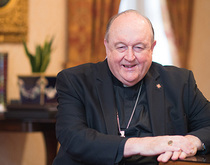 Agencies of the Archdiocese of Adelaide tell their stories in the latest annual report. Charles Gauci was ordained Bishop of Darwin on September 26 – view the ceremony at www.darwin.catholic.org.au. Italian community prepares for visit of Padre Pio relics – checkout programs for Cathedral and Newton parishes. Adelaide will host it's own World Youth Day festival featuring more than 35 acts and speakers from Australia and around the world. 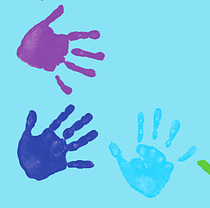 Centacare Catholic Family Services will launch National Child Protection Week on Monday September 3. 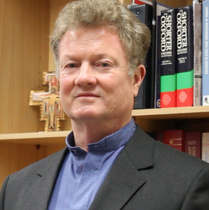 As Vocations Week commences, new director of Vocations Fr Peter Zwaans encourages us to listen to the voice of Jesus. Boy from Malta heads north for next adventure. 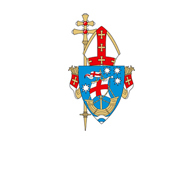 I write to inform you that on July 20, I submitted to the Holy Father, Pope Francis, my resignation from the position of Archbishop of Adelaide. Response to SBS News report. 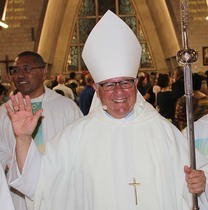 The episcopal ordination of Bishop-elect Charles Gauci as the Bishop of Darwin will take place in Darwin on September 26. Statement issued by Archbishop Philip Wilson today. 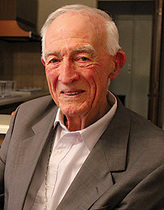 Archbishop Emeritus Leonard Faulkner died peacefully this afternoon. Easter brings purpose to our lives: Vicar General Fr Philip Marshall. 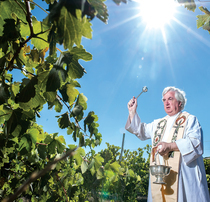 Giving thanks for fruit of the vine – Fr Paul Fyfe at Sevenhill – The Southern Cross April 2018. 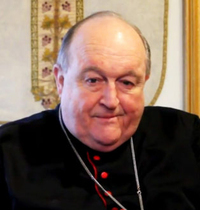 Archbishop Wilson has written to parishioners about the forthcoming election. I wish to share with you some important information about my health. The golden jubilee of the episcopal ordination of Emeritus Archbishop Leonard Faulkner was celebrated on November 1. Lutherans and Catholics on 'ecumenical camino'. 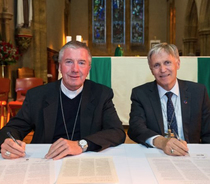 Lutherans and Catholics will come together in Adelaide on October 31 for a national celebration. View Archbishop Wilson's latest podcast on the forthcoming Lutheran-Catholic celebration marking the 500th anniversary of the Reformation. 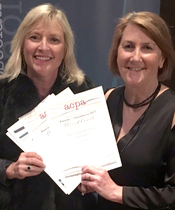 The Southern Cross was named the winner in several categories of the Australasian Catholic Press Association (ACPA) awards. If you vote 'no' or if you vote 'yes' in the plebiscite – what this means. Catholics urged to have their say on marriage. Our Catholic community needs to think seriously about the issue of drug use through programs in schools and parishes – Archbishop Wilson. Meet Fr Jeevan, he is one of two priests who have come from India to begin a four year ministry in the Adelaide Archdiocese. 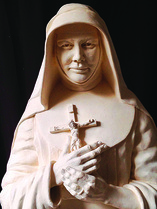 Support needed for new Mary MacKillop Museum at Kensington. Adelaide Archdiocese is changing the way it delivers the latest news and information to the South Australian community and beyond. 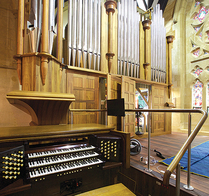 A unique look at the installation of the 100-year-old, 3000 plus-piece Casavant Frères pipe organ.